People come to the Assumption Church to think. Not all know about Temple of the Assumption of the Blessed Virgin. It is certainly not so "sensational" as many temples and churches in Vitebsk, such as the Holy Assumption Cathedral or the Resurrection Church, but it has its own beauty and majesty, peculiar only to it. And, fo course, its unique history that became part of the big history of the city of Vitebsk. 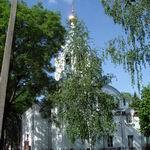 The Assumption Church was built as adherent in 1852 on the place of a worship house of the Old Believers. The temple was quadrangular with a rounded altar wall double-headed, built of stone. In the three-layered iconostasis two local icons greatly differed - the Mother of God and the Savior. The temple hads a wooden bell tower at 4 bells. 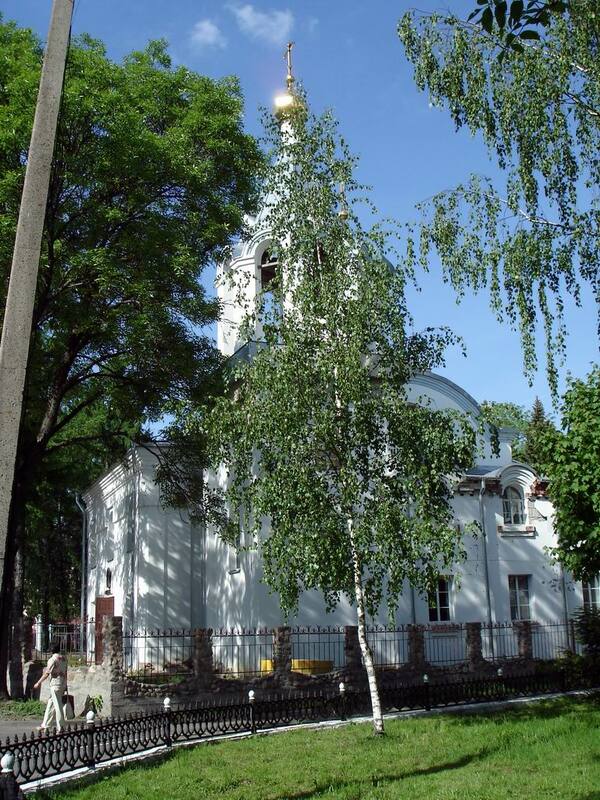 Like other churches and temples in Vitebsk, the Assumption Church of the Blessed Virgin "had not been left without attention" by the Soviet power: the bell tower of the temple was destroyed, and the building of this sight of Vitebsk was transferred to the pedagogical institute in 1954. A new life of this monument of culture and architecture in Vitebsk started in 1991 only, after registration of the community of the Holy Assumption Church. In 1997 the building of the Assumption Church was fully transferred to the community. Now we see this attraction of Vitebsk being reconstructed with a new dome, the bell tower being rebuilt. But it seems to me that the atmosphere, that old, has survived. 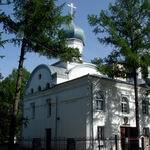 This church really holds the history of the city of Vitebsk. Some time ago I triped across the Assumption Church by chanse, during a walk, and decided to come in. 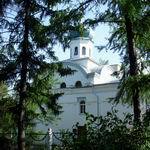 Later I learned that the particles the relics of 30 saints are kept here, that there is the church`s Sunday school, sisterhood, youth brotherhood of St. John of Kronstadt, Pilgrims Service. It seems to me that there are churches in which you come to enjoy, and there are those where you come in to be sad and think about. So this church is one of those where you really want to think about where the words form a prayer. It is necessary to feel yourself. In general, you cannot tell about any temple or about any church in general words. It is, rather, emotions and feelings, and everyone has his own. Of course, you can tell about the beauty of the icons and the decoration, the service, the place in the culture of Vitebsk ... But if you do not visit and do not feel it all and it will remain simple words. 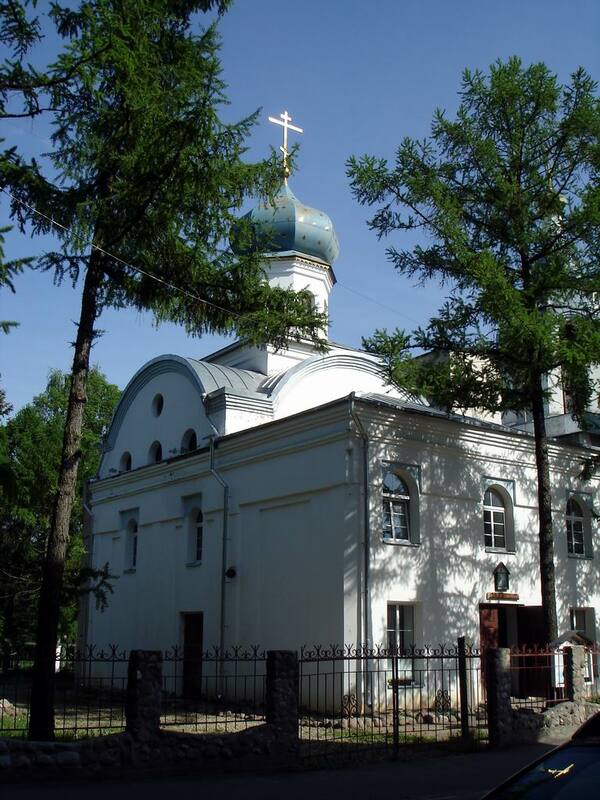 The Temple of the Assumption of the Blessed Virgin is located to the address: 15 Kommunisticheskaya str., Vitebsk. Open for visitors every day. Worship takes place daily: 8.00 AM – the Divine Liturgy, 5.00 PM – the Compline. On Sundays and holidays the Divine Liturgies are held in 7.00 AM and 10.00 AM. 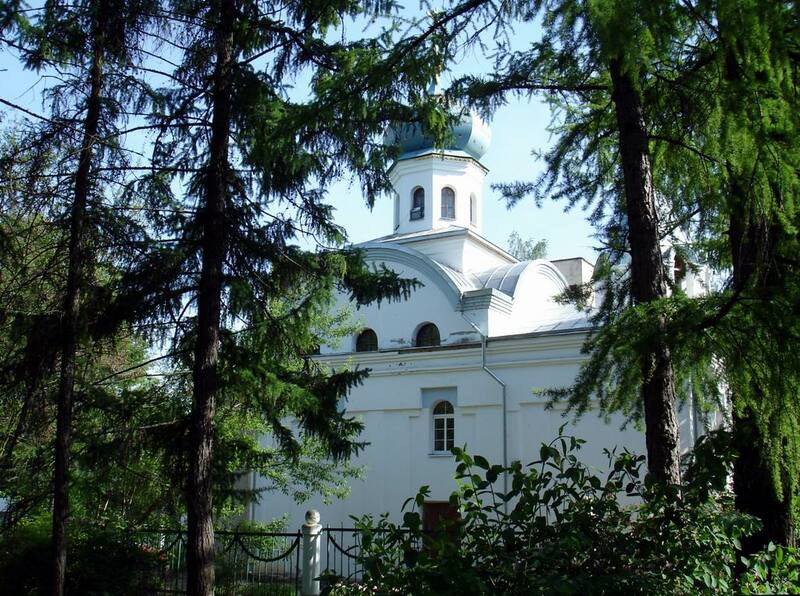 There are other attractions of Vitebsk located near the temple, which are worth to see: the Botanical Garden, Gorovets Park and Monument to pilot A.Gorovets. Not far, on Lenin Square, the building of Vitebsk Region Philharmonic Hall stands, if you're a amateur of symphonic music, or acoustic evening concerts - welcome! All information about these and other attractions of Vitebsk worth for your attention, you can find at city portal VitebskCity.by.